In Kids Aged 2-12 ... Guaranteed! Are you frustrated (and sometimes embarrassed) by your child’s tantrums and outbursts… whining and fighting… or other “bad” behavior? Does your house often feel like a battlefield between you and your children? Are you looking for a better way to resolve conflicts with your kids? You’re certainly not alone! As parents, we all occasionally get overwhelmed, and the truth of matter is that disciplining our children can often feel like just another chore.. But the good news is that no matter how short-tempered, disrespectful or “spirited” your child can sometimes be, there are proven solutions to all the most common behavior problems that most families face. And the best part is that – just by following some simple, step-by-step methods – most of these problems can be quickly and calmly eliminated from your home… often in as little as just 2 days! Persistent whining: It seems like every time your child asks for anything, it’s done in a whining voice. Fighting: Punching, kicking, even biting other children. Not listening: You’ve told your son three or four times to go upstairs and brush his teeth, and he’s still sitting in front of the computer as though he hasn’t heard you. Now, some people will tell you that all these behaviors are all “just part of being a kid.” And if you’re only dealing with these issues once in a while, I agree! But if these behaviors are causing you to be exhausted at the end of the day… or dread going out in public with your child… or sometimes feel powerless to control your family.. then it’s time to take action! And I’d like to show you the quickest and easiest ways to make it happen! Well, over the past 12 years, I’ve helped more than 57,000 parents like you solve their biggest parenting challenges. 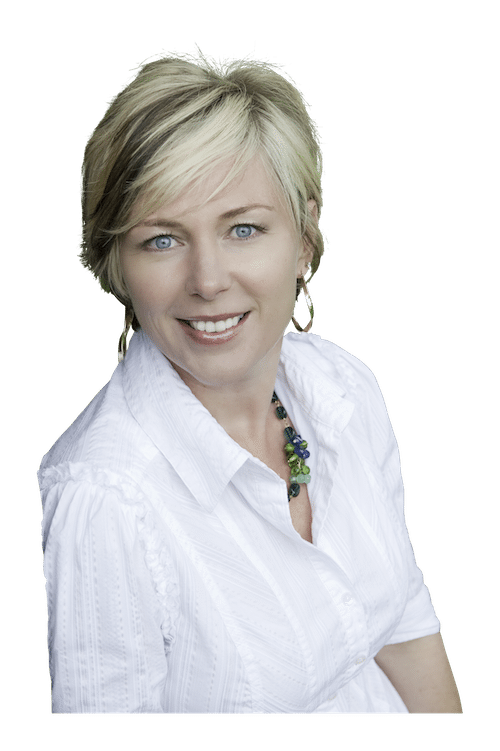 I’m probably best known as the creator of “The Sleep Sense Program,” the Internet’s best-selling resource for baby and toddler sleep problems, and “The Food Sense Program,” a “how-to” guide for the parents of picky eaters. In addition, I’ve got a BA degree (with a major in Behavioral Psychology) — and another degree in Elementary Education (B. Ed). I spent several years as a first grade teacher, and I’m also the mother of three children (aged 8, 5, and 4.) Children have been at the very center of my personal and professional life for a long, long time! More important, however, is that the strategies you’re about to learn have been proven – time and time again – to work for families just like yours. This system is called Kids: The Manual and I’m so confident in these methods… that I can actually guarantee them! Surprising Solutions To Your Most Frustrating Parenting Challenges! So what makes Kids: The Manual different from the hundreds of other parenting and behavior books out there? Well, for starters, Kids: The Manual is much, much more than just a book. As you’ll see, it also includes a complete video library, reward charts, and loads of other valuable resources. The REAL reason why kids don’t listen – and the simple switch you can make to solve this problem… once and for all! It “Uses” Good Behavior To Replace Bad Behavior! Children want to please their parents. That’s a fact. Nothing makes a child happier than the pride they feel when receiving praise from their mother or father. This desire to please our parents is so strong that it lasts right into adulthood. The most frustrating (not to mention exhausting) behavior problems are the ones that we have to deal with over and over again. For some parents, it’s temper tantrums… for others rudeness… or maybe it’s outright defiance. But did you know that many of the most common problems between parents and kids can actually be “short-circuited” before they even start? Why most temper tantrums are actually caused by parents – and how one simple change can virtually eliminate tantrums from your home once and for all! How parents accidentally put their children on the defensive at the very beginning of the day… and the simple step to avoid it! How to get siblings to solve most of their disagreements – without needing your help at all! Of course, sometimes children WILL behave badly, and it’s important to know what to do when it happens. Kids: The Manual will give you simple, specific instructions on what to do when your children misbehave – and I’ll explain how to discipline your child in a way that won’t leave you (OR them) feeling angry or disconnected! The Only Complete Behavior Resource For Kids Aged 2-12! As you probably know, there are a few different “behavior modification” programs for sale online. But the truth is that most of them are designed for older children and teenagers… and can cost hundreds of dollars! Kids: The Manual is the only program created especially for children aged 2 – 12. And because I’m making everything available to you online (rather than sending you a box filled with books and DVD’s), you won’t pay the $300+ that many other similar products sell for. In fact, when you place your order, you’re not just getting Kids: The Manual (which is 100 pages of no-nonsense, to-the-point solutions to your biggest parenting problems). You’ll also get all these bonuses – valued at almost $90 – at no charge! One of the reasons that Kids: The Manual works so well is that it genuinely inspires parents to take action! Where so many other parenting resources overwhelm you with theories and concepts, Kids: The Manual actually takes you by the hand and explains, step-by-step, how to deal with all your most challenging parenting problems. … and much more! 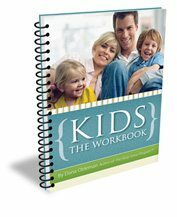 The 33-page Kids: The Workbook is valued at $19, but is yours free with your purchase. 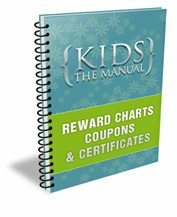 When you claim your copy of Kids: The Manual I’ll include a huge collection of goal charts, achievement certificates, and reward coupons that you can print out and give to your children when they impress you with their new behaviors. If you haven’t tried this before, you’ll be amazed at how well it works! There are 23 charts, certificates, and coupons in all (valued at $19) and they’re all included at no charge when you order Kids: The Manual from this page. Video #1: Why Do Kids Whine – And How Can I Stop It? These videos are over 80 minutes in total, and you’ll get instant access to them as soon as your order is completed. A $39 value… but yours free when you place your order today! You get everything… and you won’t pay the hundreds of dollars that similar programs are selling for online. In fact, it’s all yours for one payment of just $39. My guarantee for Kids: The Manual is very simple. Either it works for you and your family, or it doesn’t cost you a thing. Period. This is how it works: After you place your order, you’ll be e-mailed a username and password that you’ll use to log in and access everything you’ve just read about. I invite you to use everything as much as you like for a full year. If at ANY time during the next 12 months you decide that you’re not completely thrilled with the results from this program, just let me know (via e-mail or telephone) and your payment will be promptly and politely refunded with no questions asked. It’s that simple. When you place your order for Kids: The Manual, you’ll get instant access to everything you’ve just read about. Since everything is accessed online, you won’t have to wait for books or DVDs to be shipped to your house. You can literally get started just 5 minutes from right now! I’ll see you “inside” the members’ area in just a few minutes! P.S. Don’t forget that Kids: The Manual was created specifically for children between the ages of 2 and 12… and contains straightforward solutions to all the most common discipline and behavior problems like not listening, whining, fighting, and tantrums. But the best part is that everything is guaranteed to work for your family! 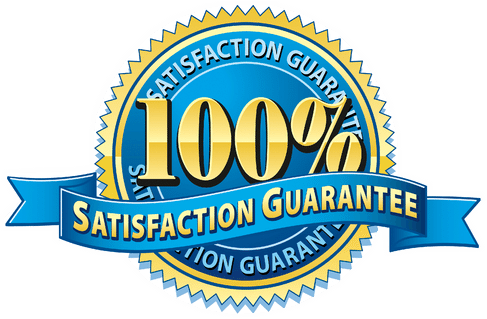 Since you are protected by my very simple 12-month, 100% money-back guarantee, there’s no way you can lose!